Audit management software automates the investigative process of systems, reports or entities. Audits can be conducted for compliance, finances, operations, taxes and more. They can be internal or external and cover various tasks. Our audit software experts develop a multitude of solutions in one comprehensive framework for the complete audit lifecycle, from planning to recommendation application. 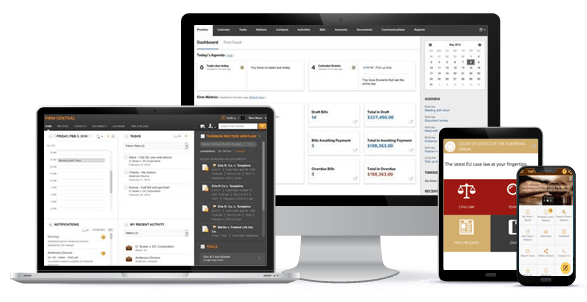 Our developers create internal audit software and external audit software tools for policy and procedure compliance, finances, operations, IT, etc. We create end-to-end solutions for all parts of the process. Our custom audit software development solutions include audit systems, mobile audit apps and configurable forms. We develop centralized audit databases and cloud systems with RBAC, encryptions and robust security features. We program audit planning and scheduling features for the beginning process to ensure that work is properly coordinated and completed. Our developers code features such as calendar integrations, task assignment models, time and frequency-based controls and risk assessment tools. We program audit resource management, cost estimators and more with responsive UI. Our developers program mobile apps that allow workers to complete audits anywhere, anytime. We create features for data capture, time, date and location stamping, digital signatures and remote access to audit forms. We develop software functionality for attaching media files, working online or offline and creating and assigning action plans. We program features for internal quality audits which are composed of questions derived from the requirements and process documentation of the company. Our developers engineer dynamic forms and checklists which include data importing, prefill and autofill functions and embedded training/how-to resources. We program archiving capabilities, integrations with supporting software systems and more. Our software developers engineer features for automatic alerts and notifications. Notifications can be for scheduled inspections, user-defined checklists, inspection completion and workflow reviews. We add alerts for observation creation and tracking made during inspections. We also add a view of inspection results on user-defined dashboards and custom notifications. Our developers will create an ordered, managed process to document and accelerate issues within a smooth workflow. It incorporates sign-off, approval and follow-up. We develop task and issue tracking systems that have real-time monitoring features, progress reporting and nonconformance/exceptions management. The issue management modules we program also include benchmark assessments, issue tagging and more. We build customized audit automation software that includes workflow design, custom event triggers and automated filtering. We apply your company branding to portals and mobile apps and integrate the apps with your current IT systems. We program role-based dashboards by assigning custom roles and permissions. We engineer project queues, alerts and notifications and more. Our developers program custom real-time reporting applications to easily generate audit reports within minutes. These can be sent electronically to an auditor or anyone in the organization for review. We develop audit analytics software and solutions for management of deployment of centralized analysis. We create database-driven reports and Corrective and Preventative Actions (CAPA) management tools. Chetu’s audit software development experts comply with regulatory, industry and technology standards including ISO 19011, 9001, 27001, 27002 and more. Drop us a line or give us ring about. We love to hear from you and are happy to answer any questions.